No more free rides for tapeworms? Imagine living in a place with plenty of space, a wonderful tropical climate, and as much food and drink as you can possibly want. 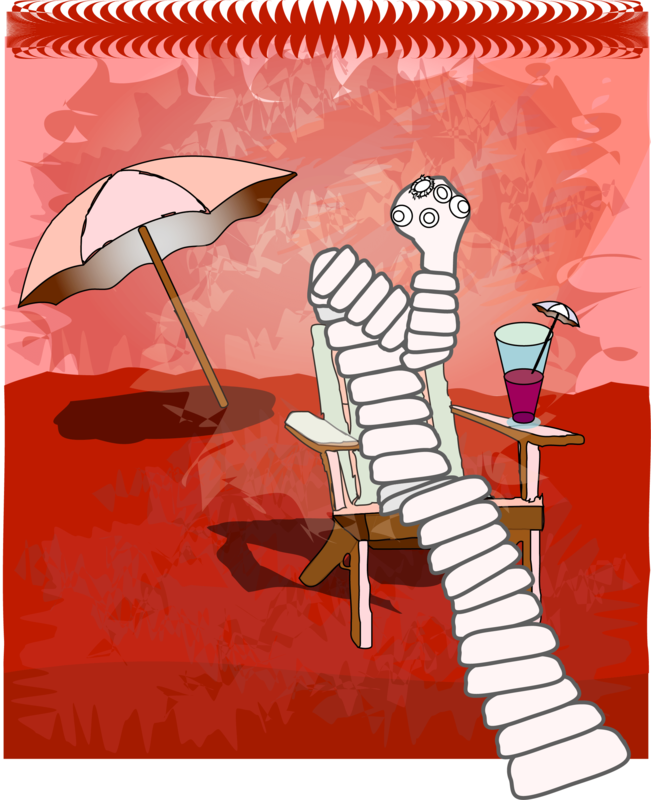 No, I’m not talking about your dream holiday, but the daily life of tapeworms. As parasites living inside us they enjoy a life of plenty, with very little to trouble them. While we need to work hard for our food, they can absorb everything they need from the host, without even opening their mouths (in fact they don’t even have one). This “slacker lifestyle” has been very successful for them. Tapeworms have been around for more than 270 million years, long before mammals started walking the planet. They have evolved to be able to live in almost all species of vertebrates: from shark to magpie, from flour beetle to mouse. In the wild, most vertebrate animals will be infected with tapeworms. Tapeworms aren’t just found in the wild. They also infect humans and animals we care a lot about, like cats, dogs, sheep, pigs and cows. Researchers believe that as many as 100 Million people in the world might suffer from having a tapeworm. These parasites are really tricky to fight because they don’t cause just one disease – they cause many. For example, you will find adults of Hymenolepis species in people’s intestines, the larvae of Taenia and Echinococcus species can grow in people’s liver or brains. So there is not one way to get rid of a parasitizing tapeworm. Instead the treatment has to be adapted to fit the exact species of tapeworm and the patient’s problems. Sadly, sometimes people cannot be helped at all, and die. The Wellcome Trust Sanger Institute works to combat diseases caused by tapeworms. As part of a team of more than 100 international scientists, I have spent the past three years assembling tapeworm genomes, so that we can better understand these parasites and to treat them. From these assembled genome maps, we have identified all their genes, and are using this knowledge to predict what those genes might do. Most importantly, we are using what we discover to find suitable drug targets to kill the tapeworms. I’m excited to say that results of all this work – the genome maps, lists of tapeworm genes and promising drug targets – has just been published in the scientific journal Nature. We are learning a lot about how tapeworms work by analysing their genomes and we are making some fascinating discoveries. Many animals, like the free-living ancestors of tapeworms, become biologically simpler when they adapt to being parasites. For instance, there is really no point in having pretty colours when you live in the dark and nobody can see you. The genomes we’ve sequenced revealing just how extreme tapeworm’s functional losses are – even for a parasite. They’ve lost their mouths, all of their guts, their eyes and even their heads. Reflecting this, their genomes are missing loads of genes that all other animals normally have. For instance, they have lost the genes that signal which parts of an embryo should become the head and which the tail. Tapeworms also lack important stem-cell specific genes, even though they have really cool stem-cells, allowing them to live and grow forever (or at least for as long as their host lives). They have lost the ability to break down very many nutrients, instead inventing new proteins that allow them to absorb everything they need through their skin. Such is their slacker lifestyle, they can’t even make their own DNA; so without a host they can’t grow, have offspring, or even survive. The great news is that this extreme loss means that tapeworms are heavily reliant on certain genes and the proteins they make to enable them to process the nutrients they absorb, to grow and to replicate. By investigating these specific gene and their resulting proteins, we hope to find treatments that will be very effective. Perhaps tapeworms – the masters of the art of laziness – will find that they will need to work much harder to survive the future. Dr Magdalena Zarowiecki is a Postdoctoral Fellow studying tapeworms in Matthew Berriman’s Parasite genomics research group at the Wellcome Trust Sanger Institute. Tapeworms’ 270 million years on the planet – Dentzien-Dias PC, Poinar G Jr, de Figueiredo AEQ, Pacheco ACL, Horn BLD, et al. (2013) Tapeworm Eggs in a 270 Million-Year-Old Shark Coprolite. PLoS ONE 8(1): e55007.